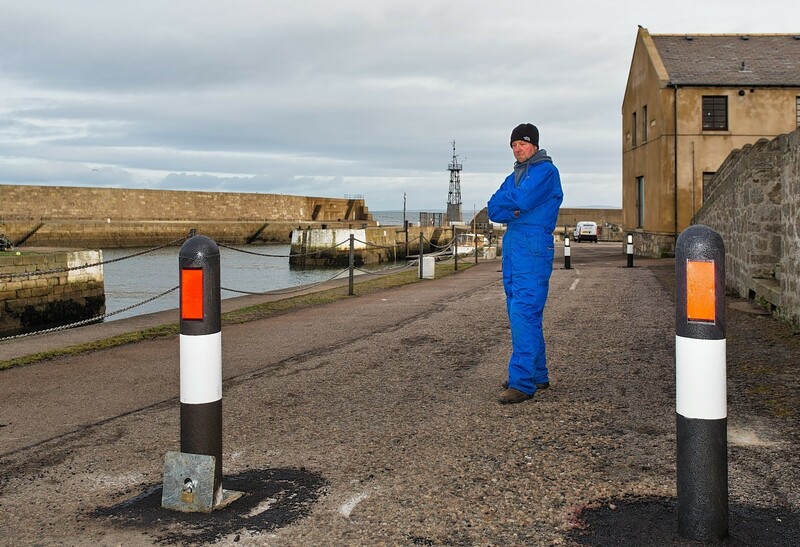 Residents were furious when Lossiemouth Harbour Board erected bollards at each end of a lane which links the west and east ends of the port earlier this year. The board insisted the bollards were necessary for health and safety reasons. But local businessmen and community groups protested that blocking off the busy access road would have a dire effect the area’s tourist trade. A public meeting was later held, and various other safety measures were put forward, which Moray Council officers agreed to investigate. But now, more than two months on and with the tourist season set to begin, campaigners are growing impatient. John Thomson, who owns the Shore Street petrol station, has spearheaded the crusade to have the bollards removed. He said: “Things seem to have stalled. I like to get a job done as quickly as possible and I fear the longer the bollards are there the less chance we have of getting them taken down. “There is no question that over the summertime we will lose passing and holiday trade. Mike Mulholland, of Lossiemouth Community Council, added: “We’re still waiting for Moray Council officers to suggest ways we can make it safer that we can pass onto the harbour board. “When we had the meeting it sounded encouraging, but we really don’t want to wait much longer as the public are all desperate to know what will happen. “I’d like to see them at least be removed for the summer, but I’ve a feeling we might not get that. A harbour board spokesman yesterday said that many pedestrians had praised the recent changes, and stressed that safety would be the main priority in any decisions it makes. Heldon and Laich councillor John Cowe has taken on residents’ concerns with the local authority, but was unavailable for comment yesterday.